All residential work carried out by Starmac Surfacing Ltd is backed by a five year guarantee to correct any defects with the workmanship provided by ourselves and is also accompanied by a Contract for Services and Right to Cancel (both of which can be downloaded in PDF format at the bottom of this page), in order to comply with The Consumer Contracts Regulations 2013. 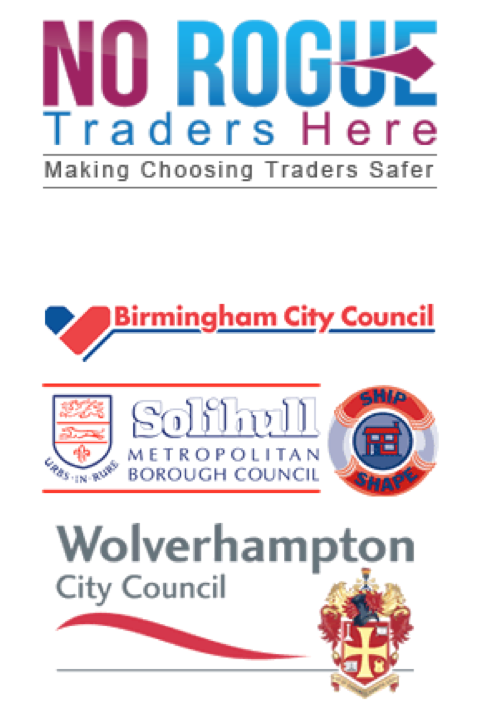 Starmac Surfacing Ltd are proud to have been approved by No Rogue Traders Here, a customer protection service who work in partnership with Trading Standards, Birmingham City Council, Solihull Metropolitan Borough Council and Wolverhampton City Council to help the public avoid businesses that offer poor services at over inflated prices. 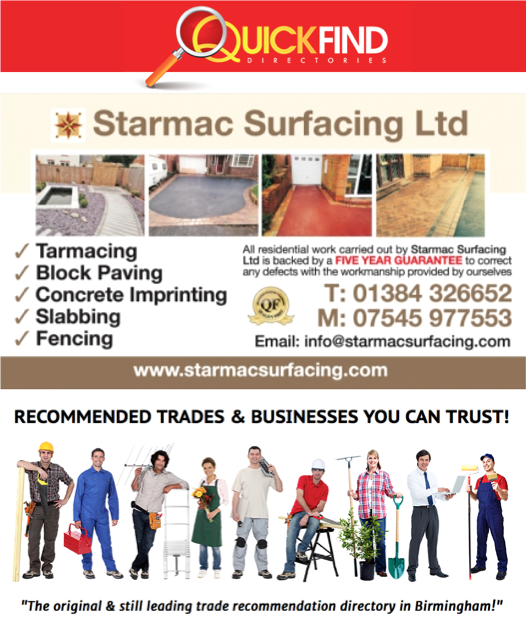 Starmac Surfacing Ltd are also proud to advertise in Quick Find Directories, which are distributed every 3 months to quality properties in the best areas of Birmingham. Our advertisement bears the Quality First Scheme seal, as our previous customers have given us excellent feedback.